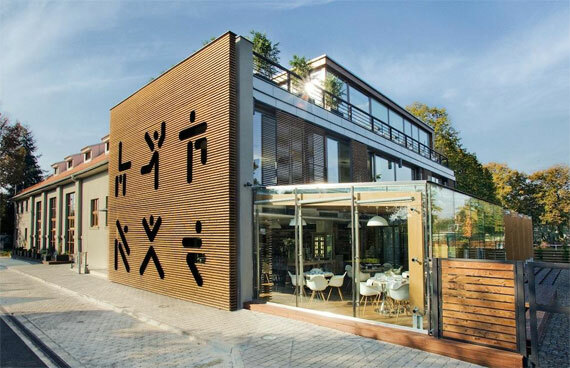 We recently had the opportunity to visit Sokolovna - a diverse business (opened in 2010) featuring a restaurant and outdoor children’s playground, bar, gym, sports courts, day spa, children’s summer camps, weekend courses and craft rooms. 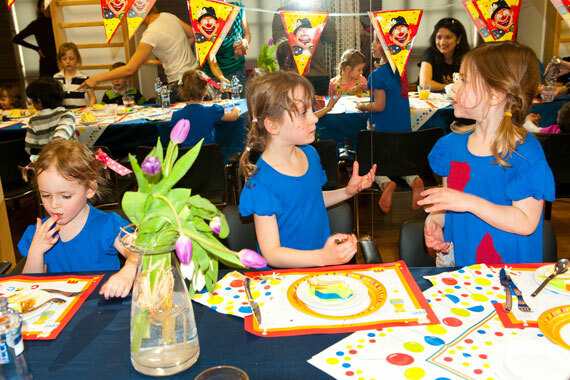 Birthday parties are a speciality and can be tailored to any age group and interest, the facilities alone make the possibilities endless. Just a 15 minute ride out of Prague brings you to the picturesque village of Průhonice and it’s latest star attraction - Sokolovna. 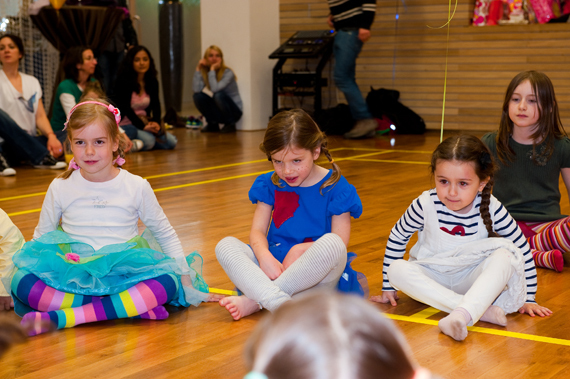 We attended a big birthday bash in late April, there were many children invited as it was a party for 3 girls. The weather was a let down, cold, grey and occasional rain - not that this was a problem - the party was held in a huge indoor basketball court with high ceilings and the buffet lunch was set in a space adjoining the court. If the weather had been fine then the program would have been run on one of the outdoor courts and kids would have had access to the children’s playground too. There were several young entertainers who supervised the kids and put them through a fun gymnastics circuit - similar to what you would experience at the Little Gym. 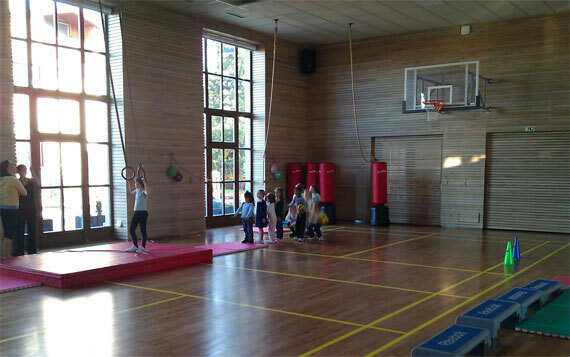 The kids really enjoyed the program, so much so that some parents were free to retreat to the bar on the upper level of Sokolovna un-noticed. 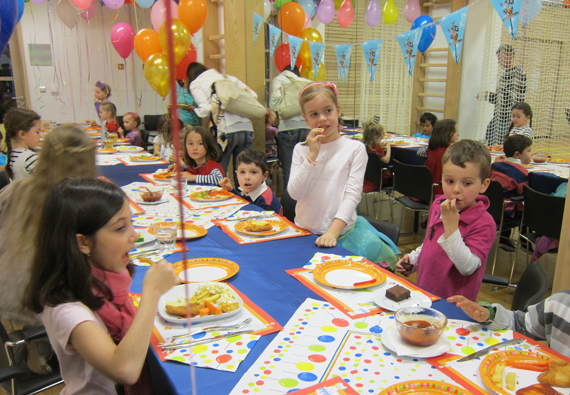 Afterwards, the children were provided with a buffet spread and drinks. In hindsight the organizing parents felt that the buffet style was too tricky for small children - you know how hard it is for us to balance plates whilst scooping up different salads, so they would recommend that meals are served from the kitchen straight to the table - especially if you have large numbers. But if you were having a smaller group and adults were eating too, then the buffet concept would probably work just fine. When all children were fed and watered the disco began. This was probably the highlight for many kids, the soundtrack was pumping - and the songs were a hit - usually related to popular kid films such as the ‘Move it’ song from Madagascar - I don’t know one kid who does not love that song - parents may feel differently! The court was darkened and lights and bubbles filled the floor - they were all so excited! The price obviously varies based on what you’d like to do, any additional extras and how many children. It can be as simple as having a gymnastics program followed by cake (that you can bring yourself) or maybe you’d like magicians, clowns, a ceramics party, a sports day etc. etc. You basically pay a price for hiring the space and staff (including a program) for 3000 to 5000, from there you add what you wish. There is fairly detailed information and some pricing in English here, along with an enquiries form. I had a good snoop around Sokolovna whilst the party was underway and took a couple of photos. Of interest to many would be the various weekend or short courses they run, as well as 4 weekly summer camps over July & August. 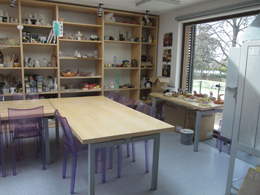 They have a permanent ‘Kids Club’ area and a Ceramics Studio including a kiln - this area is also available for Birthday Parties. 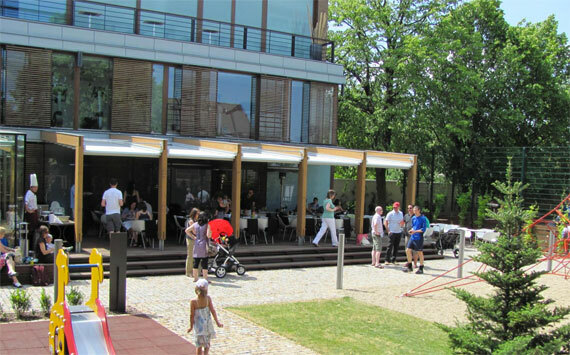 Pruhonice is a popular town with expats and Sokolovna is very much marketed to both Czechs and the expat population. English was spoken widely by staff and their website is regularly updated in English so I don’t think language should be an issue for non-Czech speakers. 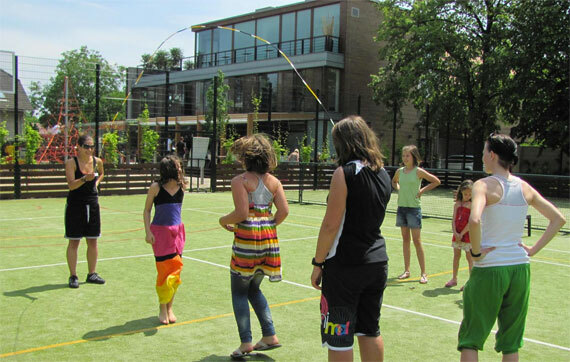 The sports facilities are top quality and the range of sports on offer for both adults and kids is wide. We’ve not been to the restaurant yet but some friends have and they recommend it. 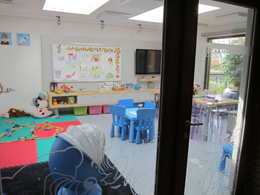 The space looks lovely, minimal with lots of glass windows and the playground is modern and easily viewed from inside or from the terrace. The area is secure and fenced so it’s a nice option when you’re out with small ones who often like to explore. The playground features tree house, a built-in trampoline, pyramid, slides and a jungle gym. 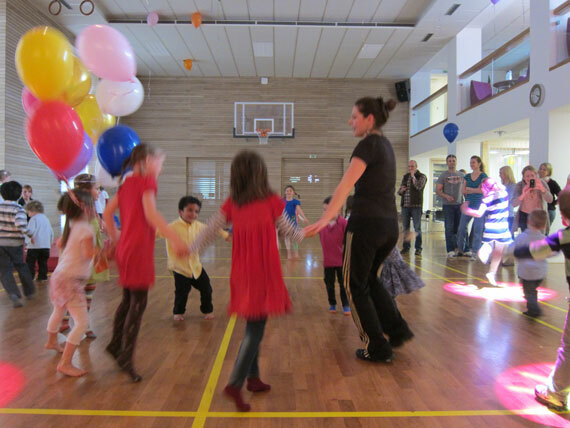 There are regular themed brunches too such as the recent International Children’s Day and an Easter celebration. The only downside to Sokolovna is parking, there are just a few spots outside - but, if you head into Dobřejovická street you will find a fairly large parking area (for free) on your right side. It’s only a couple of minutes walk away so it’s not too bad. DIRECTIONS: BY CAR: Take the D1 Freeway in the direction of Brno, turn off at Exit 6 (Pruhonice). Make a left hand turn at the roundabout which will take you into Pruhonice village. Turn left at the next roundabout and left again, Sokolovna is 20 metres on from this last turn. By METRO & BUS: Take the Metro red line C to Opatov station. Change to the Pruhonice bus (numbers 324, 325 or 385 depart every 15 to 20 minutes) and take it too Pruhonice Namesti (square), walk towards the roundabout and down Říčanská Street then turn left (less than 10 minute walk from bus stop).